The current Line 3 crosses the Leech Lake reservation. The proposed Line 3 reroutes to the south, but still crosses lands where Anishinaabe bands retain off-reservation rights to hunt, fish and gather. As a church we support prayerful, peaceful and non-violent approaches to express our concerns of the risks to the environment and the people of these territories. As a church we call on all elected officials to guide and direct their conduct to be above reproach. As a church we call upon all levels of government to support and honor treaty obligations. 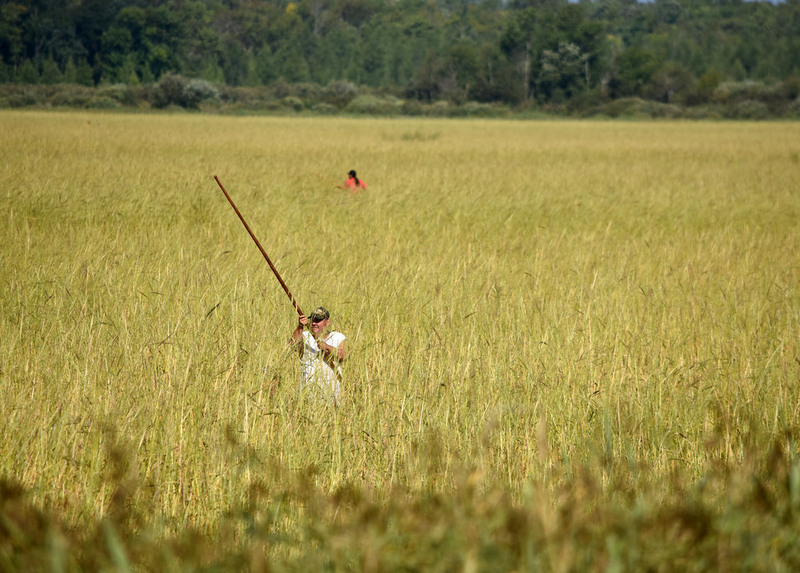 We believe the Ojibwe Bands of northern Minnesota are right to assert their opposition to the pipeline under the treaties that were made on their behalf by their ancestors. The Episcopal Church is one of several Protestant denominations that has voted to repudiate the Doctrine of Discovery, the religious and legal justification used by 15th and 16th Century explorers to seize indigenous lands on behalf of European monarchs. The Doctrine of Discovery refers to a series of Papal edicts that told European nations that they could claim “New World” lands as long as there were no Christians there already. 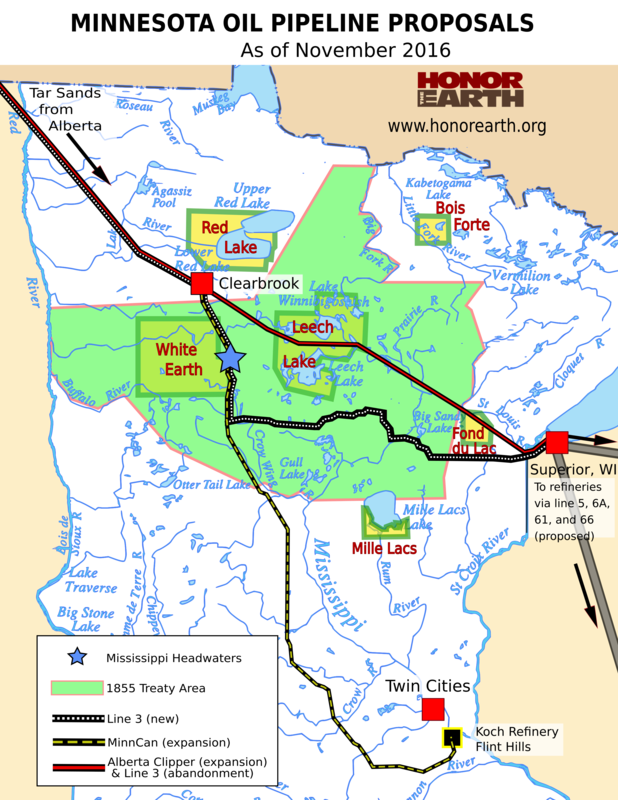 The Episcopal Church’s vote to stand with Leech Lake in opposing Line 3 is one way for the Church to put actions into the resolution to repudiate the Doctrine of Discovery. More than 500 leaders from different faith traditions signed a letter opposing Line 3 and delivered it in May to Gov. Mark Dayton and the Minnesota Public Utilities Commission (PUC). In June, the PUC approved the project anyway. It now remains to be seen how various religious traditions engage in the work to stop the pipeline and support the Anishiaabe of northern Minnesota. Resolved, That the Episcopal Church learn from its engagement as allies of the Standing Rock Nation, the Leech Lake Band of Ojibwe, the Gwich’in People of Alaska, the Inupiaq Community of Kivalina and other times of solidarity with indigenous people by collecting and examining our history, theology, tradition, liturgy, and financial commitments. This examination will be conducted by the appropriate committee of the Executive Council, the Presiding Bishop’s Staff of Ethnic Ministries, the Office of Government Relations and those diocesan bodies and faith communities that are relevant to the work. This reflection is to strengthen the good that has been done and reform to bring our beliefs and actions into closer alignment with the values of the Jesus Movement. The Episcopal Church has a powerful story of Bishop Whipple standing with the Ojibwe and Dakota people in Minnesota. He continued his advocacy for the Dakota people as they were exiled into the Dakota Territory and called on the House of Bishops to elect William Hobart Hare for mission among the Great Sioux Nation and he became known as the Apostle of the West. Today the Episcopal Church continues to be known as an ally to the Indigenous Nations in Minnesota and the Dakotas. Most recently it was known to Stand With Standing Rock in the confrontation with the Dakota Access Pipeline that runs through treaty land (1851 & 1868) and adjacent to the Standing Rock Sioux Nation. The Bishops of North and South Dakota, Bp. Smith and Bp. Tarrant, together with Presiding Bishop Curry were counted among those that supported Standing Rock in its stand against the risks brought to its water. Now, Minnesota, has given its permission for Enbridge Line #3 to develop a route through the waters and land of Northern Minnesota. Bishop Prior of Minnesota has spoken in support of Ojibwe sovereignty and their responsibility to protect the water. When the State and County officials in North Dakota placed themselves in opposition to the Standing Rock Sioux Nation, and Standing Rock’s call for the Oceti Sakowin (Great Sioux Nation) to come to its aid, a sometimes violent standoff with Law Enforcement ensued against the Water Protectors that gathered at the Backwater Bridge.